ComputerCityRepairs.com is the best place to visit when it comes to laptop screens repair in the Los Angeles area. If you own a laptop, perhaps you realize how notoriously fragile this gadget is. Laptop screens are likely to suffer problems at one point in its life. The laptop screen is the most sensitive of all parts. 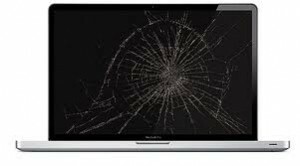 Just a simple scratch or fall can ruin the entire appearance, even the function of the laptop. Some would spend hundreds on buying a new model but it doesn’t need to be this costly. You could actually cut your costs by simply hiring a reliable laptop screen repair/replacement technician who can bring back the life of your laptop. Enlist the services of a reputable laptop repair technician is much more cost-efficient than buying a new one. ComputerCityRepairs.com can handle whatever laptop repair service you need. From IBM Lenovo to Toshiba to Acer to Dell to Compaq to Sony to Mac, regardless of the brand of your laptop or notebook, technicians from ComputerCityRepairs.com can definitely help fix your problem. If you think it’s the end of your laptop, think again. Expert laptop repair service technicians can find a way how to bring back your laptop in its best shape. Most often, the best fix for laptops is just a good, clean change or repair of the laptop screen. ComputerCityRepairs.com has a comprehensive inventory of laptop parts for all makes and models. They gladly work on all types of laptop problems hence you’re assured to have your laptop back in action in no time. Expert technicians from ComputerCityRepairs.com will ensure that when you get back your laptop, it will be as good as new. And best news is that their services come at an affordable price. You’d be surprised to learn about their service rates! So whether you have a Dell LCD Screen, Compaq LCD Screen, HP LCD Screen, Toshiba LCD Screen, Acer LCD Screen, Apple LCD Screen, Fujitsu LCD Screen, Gateway LCD Screen, Hitachi LCD Screen, Hyundai LCD Screen, LG Philips LCD Screen, Sharp LCD Screen, Samsung LCD Screen, Winbook LCD Screen, Unipac LCD Screen, Matsushita LCD Screen, Mitsubishi LCD Screen, Panasonic LCD Screen, Quanta LCD Screen, Torisan LCD Screen, Sanyo LCD Screen, or NEC LCD Screen – you can guarantee that ComputerRepairCity.com can handle your needs.